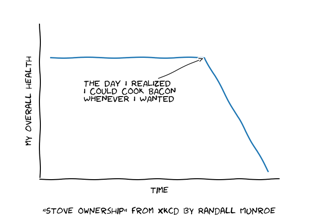 Turn on xkcd sketch-style drawing mode. This will only have effect on things drawn after this function is called. For best results, the "Humor Sans" font should be installed: it is not included with matplotlib. The amplitude of the wiggle perpendicular to the source line. The length of the wiggle along the line. The scale factor by which the length is shrunken or expanded. This function works by a number of rcParams, so it will probably override others you have set before.